An underutilized Maple Grove, MN garage space can be converted into a fully functional Storage Room, Workshop area or an Additional Bedroom. All you need is an imagination, workable budget and Licensed Renovation Contractors. Bannochie Builders, Inc. has a team of skilled craftsmen that can provide Garage Conversion Solutions that fit your lifestyle. With convenient, organized storage for all of your sports gear, tools and bicycles, your garage can finally be functional and neat. We can even help you turn extra garage space into a Workout Room, Laundry Room or even an Innovative Guest Cottage. Are you looking to add on or increase the efficiency of your existing Plymouth, MN garage? 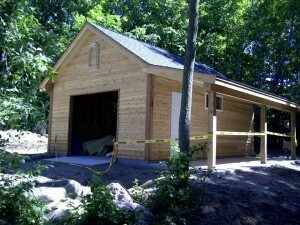 If you answered ‘yes’ and are indeed looking for a custom garage remodel, you are in the right place! Bannochie Builders, Inc is a family owned and operated, local team of licensed contractors that specialize in home remodeling and renovation. 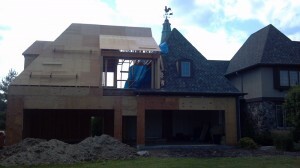 Our skill sets allow for the highest quality finished renovations, as well as timely project completions. Bannochie guarantees that your revived garage will exceed your expectations and create a wave of neighborhood envy.